I saw those pillows on Pinterest last year. I liked them so much I wanted to sew them. Something fun about it. I found the pillows on Pinterest first with my cell phone. Then I bought the fabric (canvas) and the zippers, copied the picture to my iPad and took it with me to my sewing course. Only when I wanted to show the teacher the now larger picture on the tablet, I saw that the pillows are not sewn but knitted. My cushions have the approximate size 24 x 16 inch. 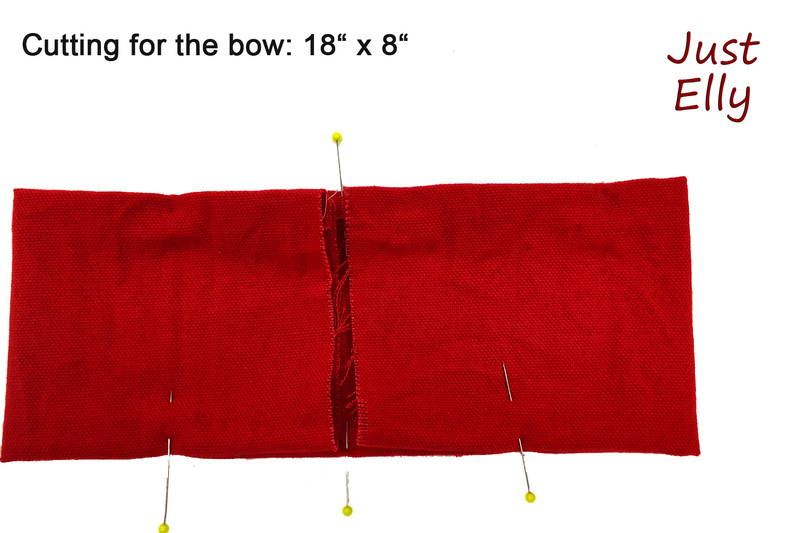 If you want to copy my tutorial, you have to make the bows bigger or smaller depending on the size of your cushions. First start with the ” bands “. Sew the band together on the left side. Then turn it to the right. 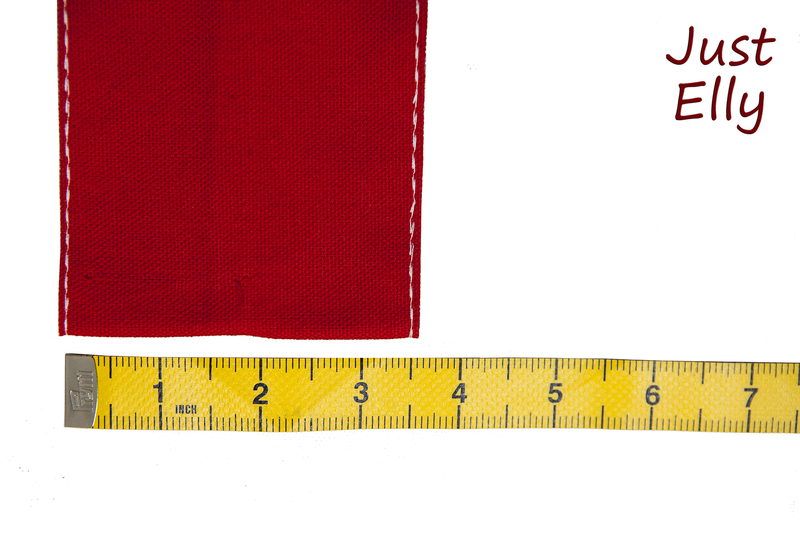 Lay the band so that the seam is at the back and iron it. I then triple-stitched both edges. 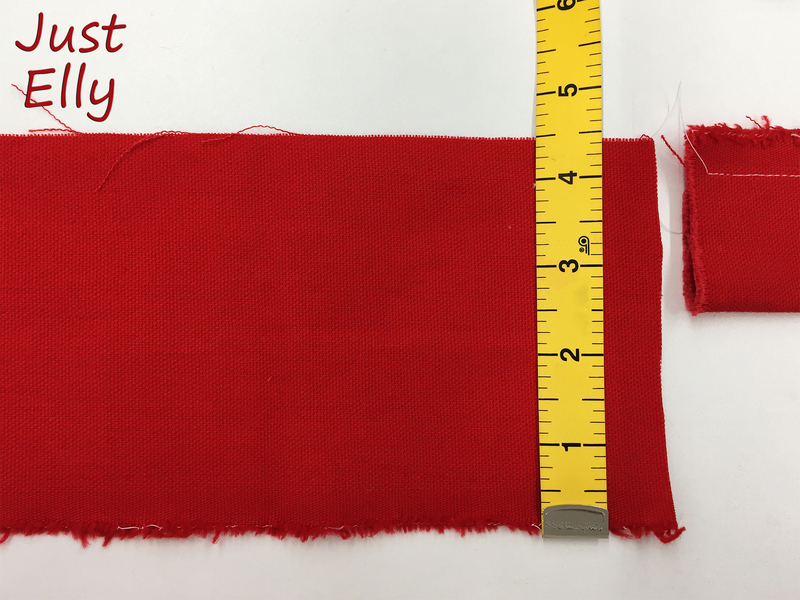 Sew the two bands to the fabric you cut for the pillow. Now the bow should also look like a bow. 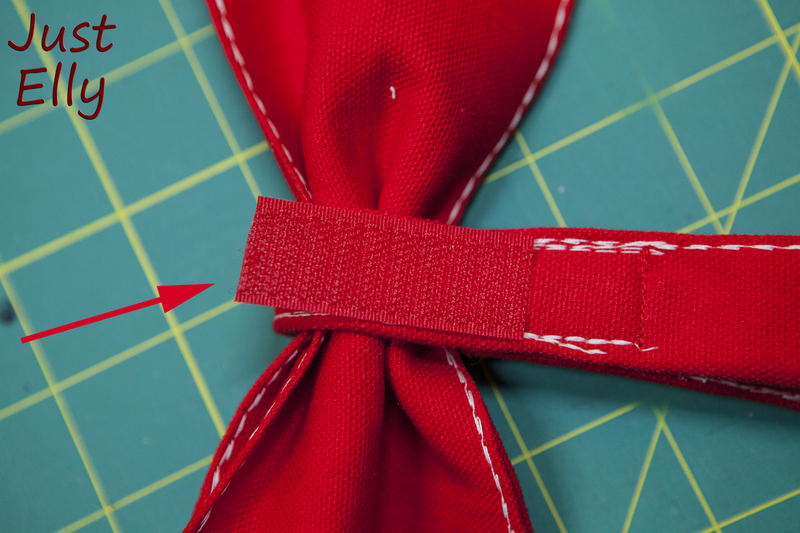 Press the middle together with your fingers and sew together. 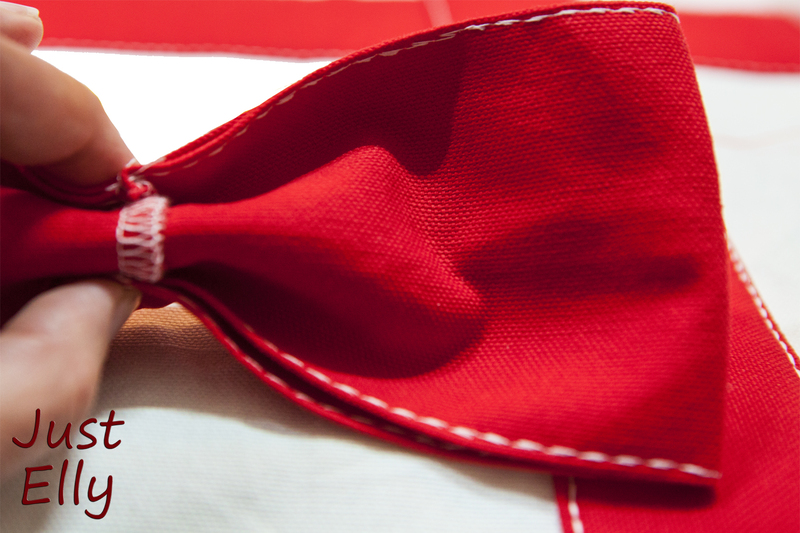 To make your pillow look even more like a gift, it also needs the bands on the bow. 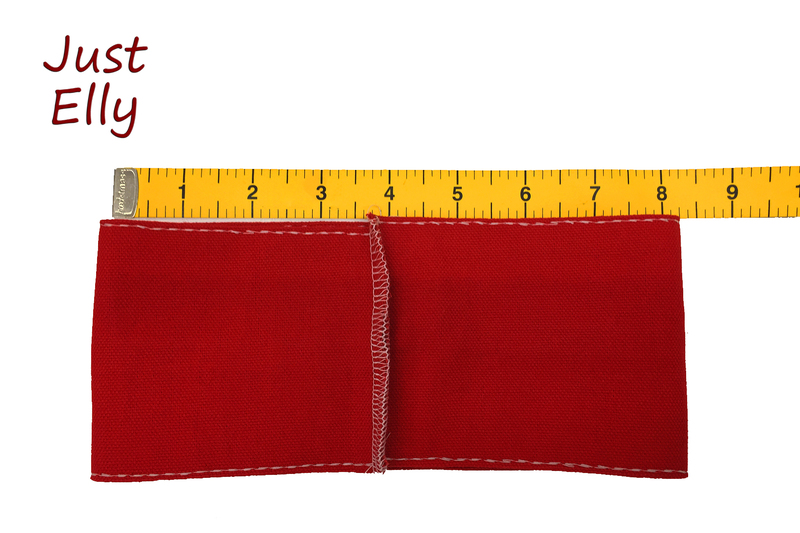 I have tried it with different widths and have decided for this width. Because the strip on the bow looked too wide, I folded it in half. 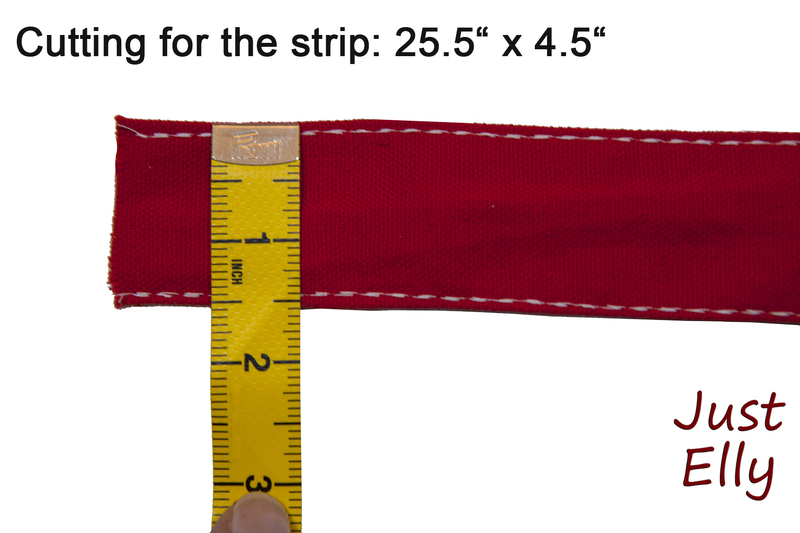 Place the strip around the bow so that it is the same length at both ends. 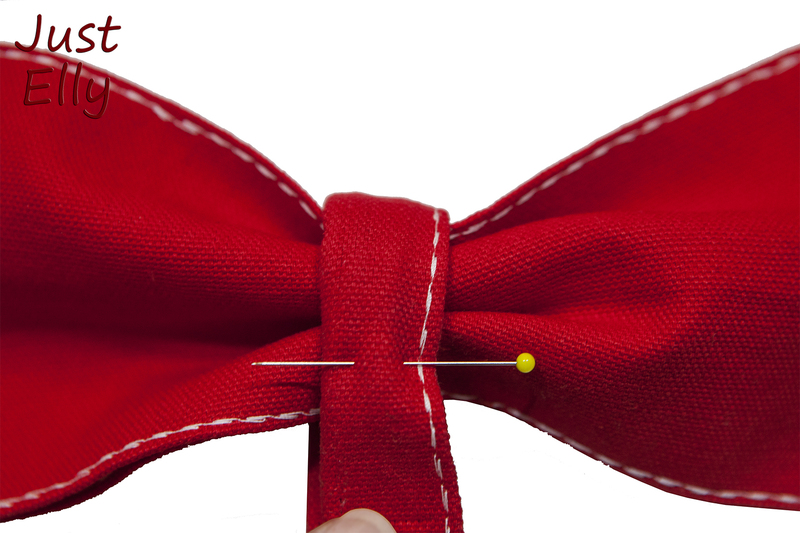 Now hold the strip tightly around the bow and mark it with pins. 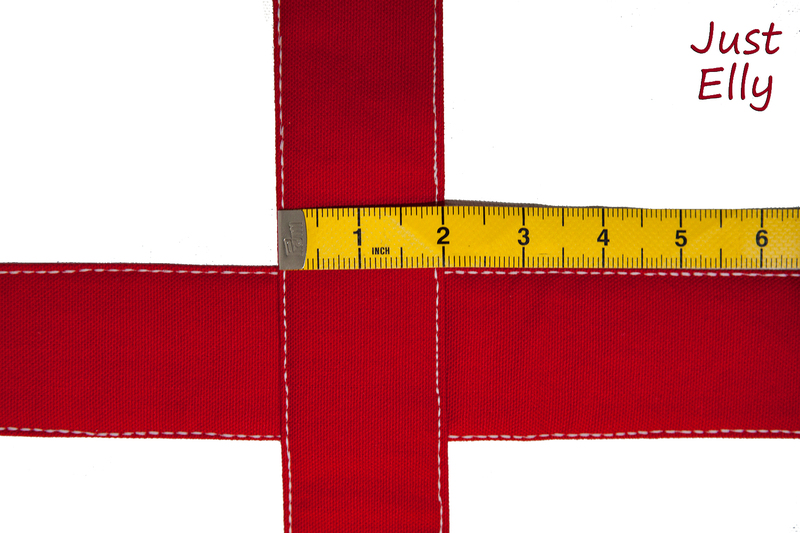 Sew on 2 strips of velcro on the back side at the marking. 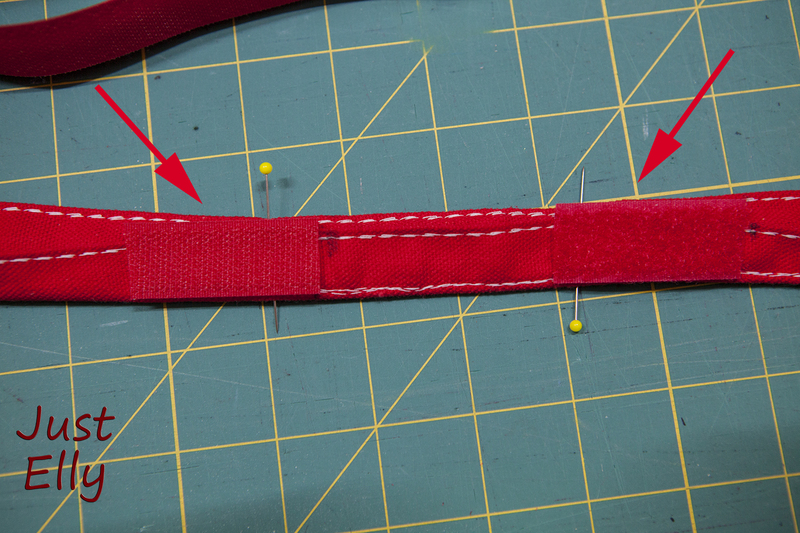 Don’t cut the velcro too small so you have some room to adjust later. 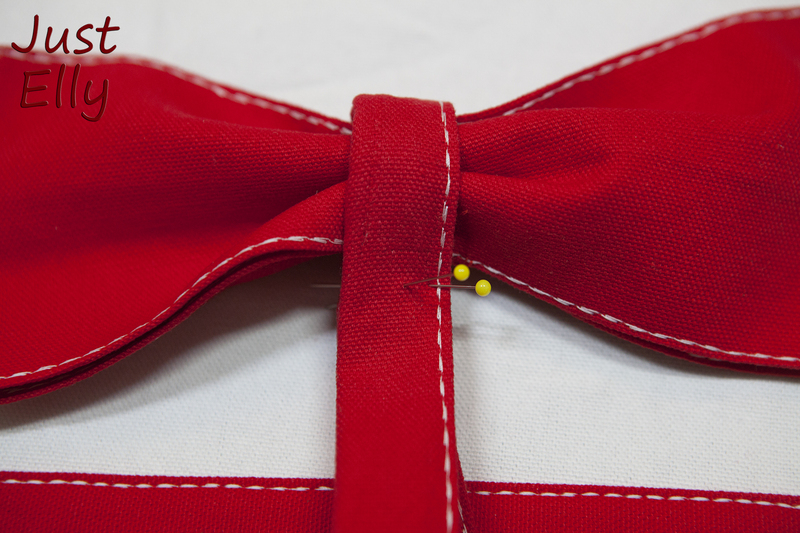 Because I also want to attach the bow to the pillow with velcro, I put a piece of velcro on the back of the ribbon. Always make sure to take the “hard” part of the velcro for it! 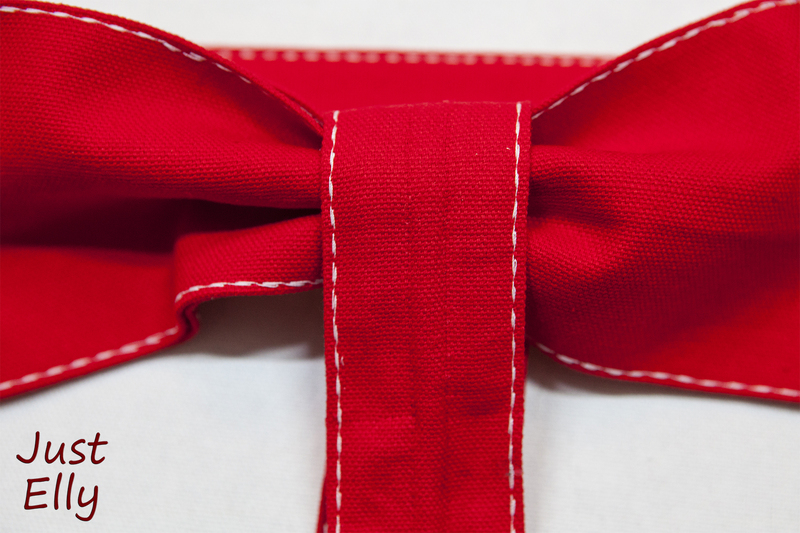 If you want to wash the pillowcase, simply take off the bow and the fluffy part of the velcro won’t damage your other clothes. Now you have to decide WHERE to put your bow on the pillow!!! 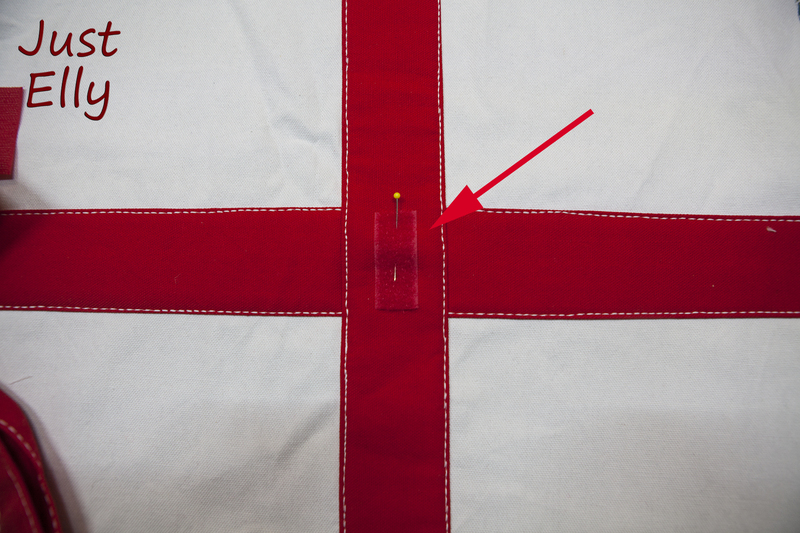 Just try different places and where you like it best, make a mark and sew the counterpart of the velcro. 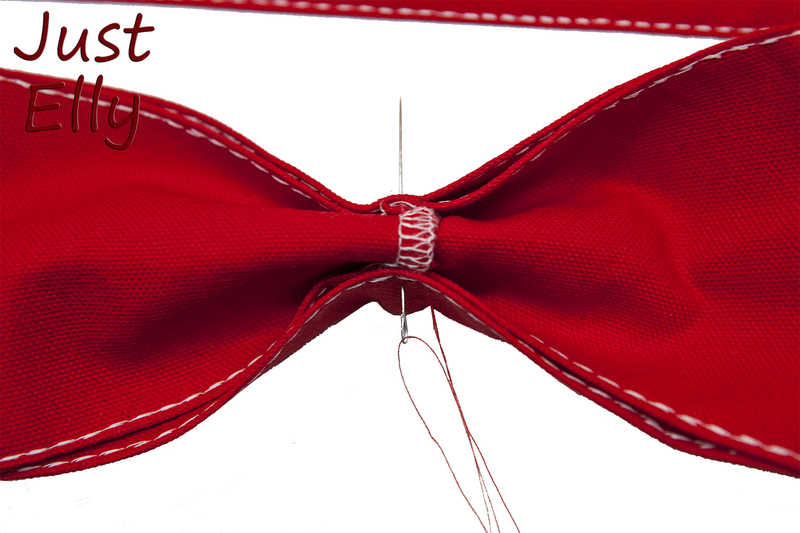 If you need to shorten the band from the bow, do it now and sew the ends. 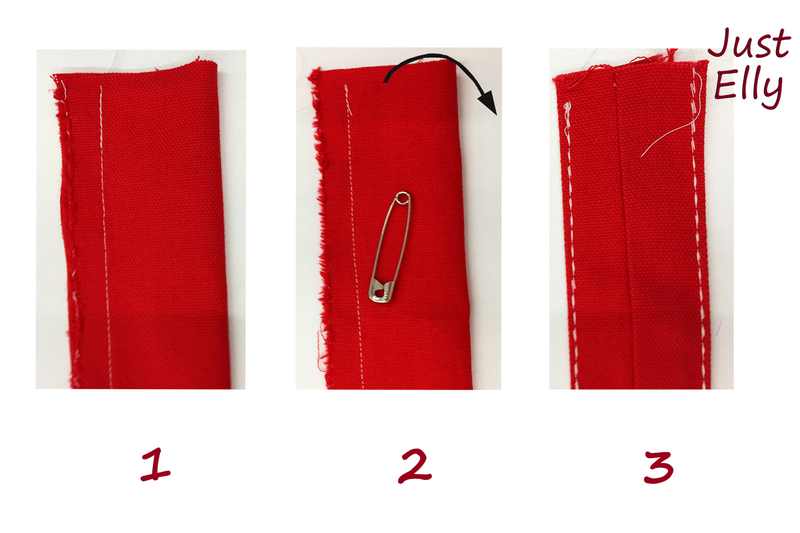 Then you can sew the pillowcase and zipper. 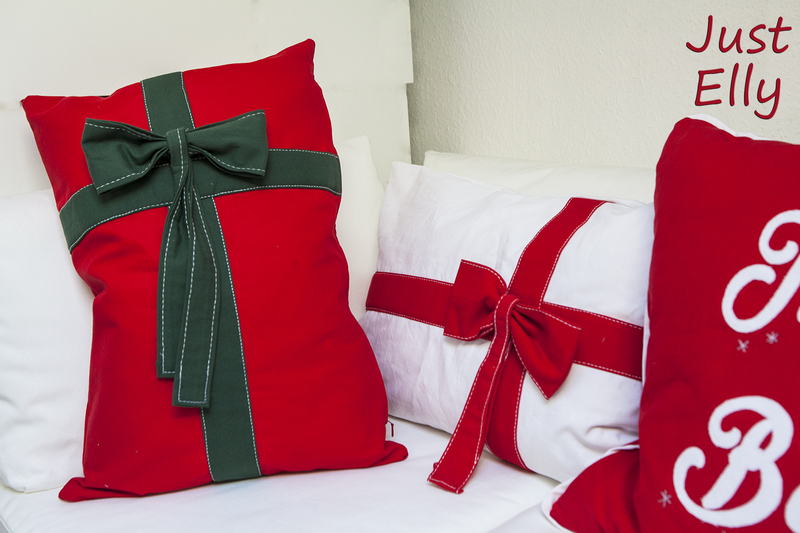 You want to know how I made those three pillows with the Christmas songs? I found a free font on the Internet called “Christmas”. I mirrored the writing and printed it out in enormous size. Then I applied the writing and decorated it a little, depending on the song. This entry was posted in Christmas, Home, Tutorials Sewing and tagged Christmas, cover, Cushion, DIY, gift, How to, Pillow, sew, sewing, Tutorial by justelly1. Bookmark the permalink.